There are two types of alligators in the world. The american one is called the Missippien and the Chinese one is called the Sinensis. The Missippien lives in Florida and the Sinensis live in eastern China. the alligators nose is u shaped and their jaws are stronger than a dinosaur.A alligator can go through 2,000 to 3,000 pairs of teeth. they can lift 200 pounds.they can kill a 30 pound animal and the teeth can kill a dinosaur. 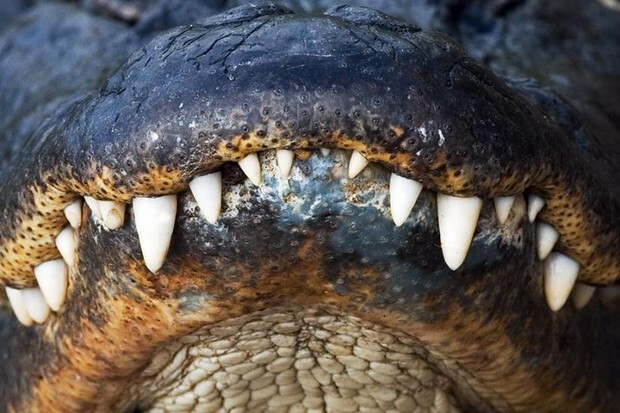 Alligators have a long snout that has upward facing nostrils at the end; this allows breathing to occur while the rest of the body is underwater. they only have three organs.The first contains the air they breath in the water.The second contains the heart,the ting that makes them think, and a mussel.And the third is nothing except vanes.